For all of our friends in the Rochester, NY area, please join us at the Rochester Institute of Technology tomorrow (Saturday, May 2nd) to celebrate the Innovation Festival. The day long festival begins at 10am and will be littered with an eclectic handful of students, showcasing their brains and brawn. We hope that you’ll take a moment to stop by the Wallace Library, where our booth will be located. On top of that, we hope all of our viewers will enjoy our nice, new blog redesign. With the help of Pat Cartelli we were able to get things together just in time. We will also be enjoying the support of guest blogger Adam Contreras from Zuriick sneakers this coming week as well as photos from tomorrow’s event. Keep your eyes peeled! A recent video I created to introduce myself to my entire agency. My main goal; make everyone laugh their asses off. Score. As many of the gents on staff know, I was fortunate enough to score a job with the exponentially growing ad agency, Partners + Napier. It’s been an excellent experience thus far, and with it comes bragging rights… so here it goes. Partners + Napier recently received a Regional Addy for its video created for Kodak Momentum (an Regional Addy meaning an acclaimed design award that only design gods can manifest). I’ve grabbed a few screen captures from the video, but the video in its entirety can be viewed here. Also be sure to check out the Partners + Nuggets section of their blog, a witty ensemble of the world’s trends and just plain goofy fun facts. 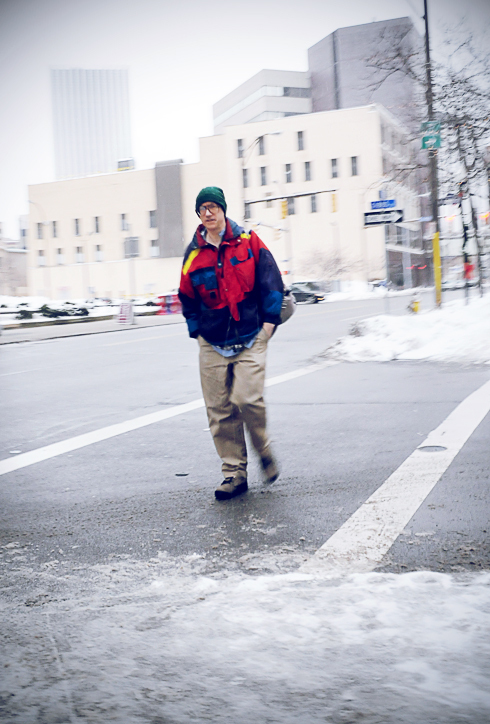 I saw this man a few weeks ago while walking around downtown with a few friends. I was immediately struck by the way all of his key pieces are once again “trendy.” From his vibrant color block nylon jacket, to his big wire rimmed glasses, and even the sloppy knit hat. Was this guy around when all of these things were cool the first time? Was he hip before the hipsters? Who knows. Yeah, I thought you couldn’t. Not much to imagine. 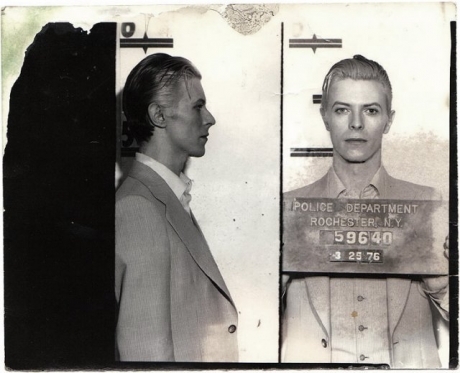 On rolls in David Bowie, he puts on a great show, goes back to his hotel, and gets arrested with Iggy Pop. Not only is this the only semi-interesting thing to happen in Rochester but it was also the greatest display of fashion Rochester had seen up until that date. Take a look at that hair, and that three piece suit left unbuttoned for more of that “Why hide the buttons on my vest?” look. He is also sporting the invisible tie, which had yet to hit Rochester at the time. It’s well known Bowie is a musical genius, but who knew he was a fashionista. This was obviously before Labyrinth.